Now, the government is again jockeying on the sidelines to gather 151 willing MPs to ratify the Greece-FYROM Prespa Agreement. 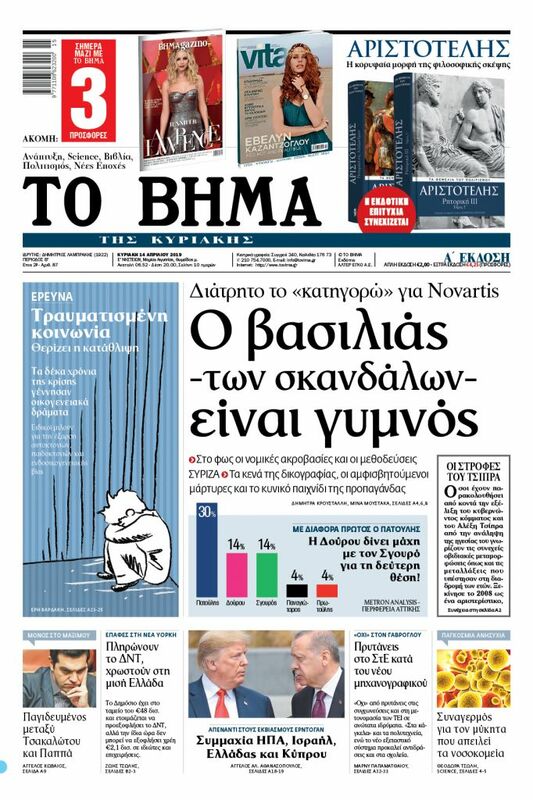 Mr. Tsipras’ government, with intense and problematic political processes on the sidelines, managed to score a much-desired victory in the parliamentary confidence vote that it called with 151 MPs and thus extended its term in office, albeit briefly. Now, it is again jockeying on the sidelines to gather 151 willing MPs to ratify the Greece-FYROM Prespa Agreement, so as to avert the huge political problem that would arise if it were to fail to garner an absolute majority in parliament. It is possible that it can succeed in that, thus extricating itself from an exceptionally difficult position. However, the forging of majorities in both cases appears opportunistic. The support of particular individuals for the government appears to be entirely self-interested. Suchg majorities are fragile. They do not do honour to parliament, and they cannot withstand the test of time. That is because the motivations of those who constitute those majorities are base and lack any credibility.The procedures and methods marshaled degraded parliamentary institutions and violated parliamentary mores. It is indicative that the Independent Greeks pulled out of the government but two extra-parliamentary cadres remain cabinet ministers. Four of the party’s MPs voted yes in the confidence vote for a government on the verge of collapse. 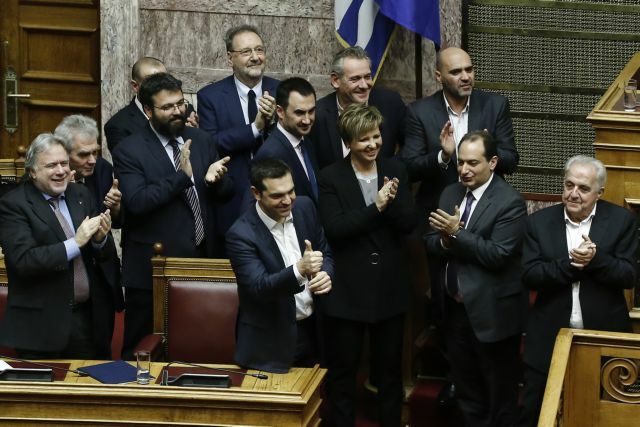 They, along with Deputy Citizen’s Protection Minister Katerina Papakosta and ex-Potami MP Spiros Danellis, formed the parliamentary majority and resuscitated a teetering government. The political behaviour and track record of these willing MPs is not the best reccommendation. It is based on self-interest and personal, base motives and has nothing to do with the national interest that has been invoked. Meanwhile, ex-defence minister Panos Kammenos was joined by only two of his MPs in not giving the government their confidence, so that they could retain the privileges of a parliamentary party (which requires five MPs). He did not expel his two apostate or renegade MPs and he relied on friendly hardliners on the Macedonia naming issue to recruit an extra MP, a former Centrists’ Union backbencher who was cursing Parliament. There is another MP – a real luminary – who supported the government in the confidence vote but categorically rejects the Prespa Agreement. Everyone knows that in recent days there have been unprecedented backroom machinations aimed at securing the 151 votes needed to ratify the accord. The pressures on smaller parties are unbearable. There is incessant bargaining with politically vulnerable MPs who are courting Mr. Tsipras. This will intensify and burgeon in the coming days as the vote approaches. Effectively, the government has lost its majority and uses every means with no compunction to remain in power and prepare the way for a dignified showing in the forthcoming general election. The dogma of “the end justifies the means” is prevalent in the prime minister’s court. Those who until now preached about their moral advantage are undaunted and seem prepared to do just anything, sacrificing democratic mores and parliamentary tradition. The government could have created a consensual environment on the issue if it had handled things differently, if it had truly consulted with other parties, conducted an information campaign, and engaged in exhaustive discussions. Instead, it chose to exploit yet another national issue in an effort to prevail politically and defeat its political opponents. The result is that the government is sliding dangerously and dragging democracy and the country long with. That is pity, a great pity.